The time has come for Destiny 2 players to choose their faction - but which one offers the best perks and rewards? It's a more difficult question to answer than some will expect - especially those who sat out of the first game - and relies on a few different factors that players may not be walked through to the extent they would wish. So we're here to deliver a bit of backstory and explanation on the Dead Orbit, the New Monarchy, and the Future War Cult. The game will require players to speak to the leaders of each faction before pledging their loyalty to one, and joining the rush of the Faction Rally running from now until October 3rd, 2017. The factions are nothing new to the core game, with all three being carried over from the prior version. Again, pledging loyalty to one faction allows players to cash in tokens for faction-specific weapons, armors, and shaders. But with the Faction Rallies of Destiny 2, each faction's Guardians will all be competing to help their team win a unique weapon. And for players who think pledging loyalty to a faction based purely on loot, and not on tradition, lore, or role-playing is missing the point, prepare to learn why your Guardian may be a New Monarchy soldier already. "Hope will be born from the collective triumphs of the king in us all." It's hard to discuss the New Monarchy faction of the Destiny universe without feeling a bit defensive: where the other factions are based squarely in the ambitions and unknowable future of science fiction, this faction seems a more fitting relic of the past. It's also easy to misinterpret the fictional values of the group - well, one value in particular. Imagine the group as an order of knights trying to lift the people of Earth out of another Dark Age, and you're on the right track (which is why their armors and white-and-red shader sets call so clearly on chivalrous and royal motifs). 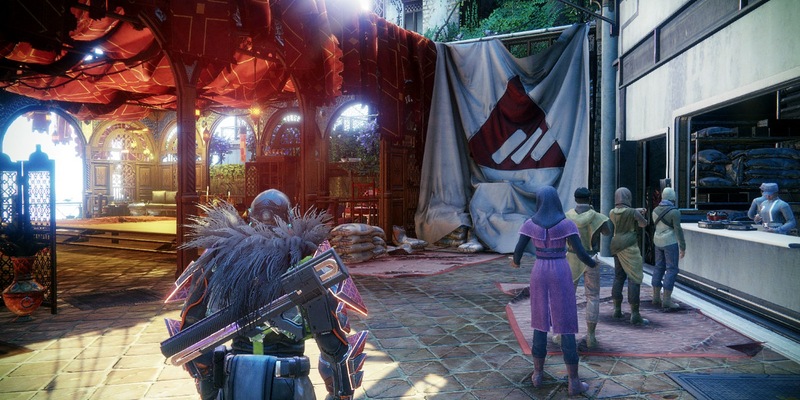 We're also talking about true chivalry here, not one intended to simply glamorize warfare or military might: the gathering of City residents at a storefront next to the faction's Tower location shows they are figuratively AND literally serving the people. The true meaning of the faction's motto - "Together We Rise"- is evident, then... but to do it, the New Monarchy believes that a new monarch will be needed. A single person embodying the values and fortitude to lead the broken remnants of humanity and their Guardians towards a new age. An age in which the Earth can be reclaimed by what remains of its people, followed by the rest of the solar system. Fans of democracy typically blush at the idea of installing a new monarch - a king or queen with total power - but given the setting of Destiny 2, and the authority already granted to Guardians "chosen" by the Traveler, it's less of a leap than you might think. If the idea of joining up with essentially space knights of the future seeking to appoint a fitting monarch to a new Earthly throne sounds tempting, it should. The idea of inherent integrity or greatness is what Bungie has built their games on, and it's the same here. While the New Monarchy may be ferocious in preventing disunity among the remaining humans - having wiped out the previous faction Concordat for attempting to overthrow the democratic leadership - they value peace most of all. Their true mission statement is to have all controlling factions accept and select a monarch together. And since their first choice for the job was Zavala, the Titan Vanguard, their hearts are in the right place. 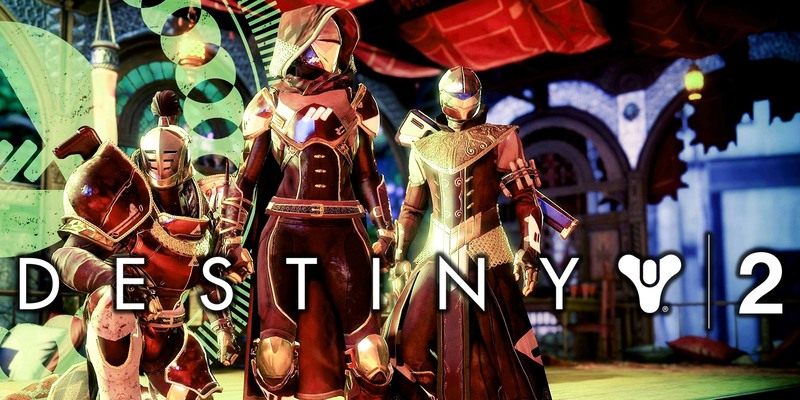 If pledging loyalty to the faction, then expect to unlock knightly armor and shaders of reds, whites, and golds. The weapon set to be unlocked as part of the Faction Rally event is the Interregnum XVI (Sidearm), a fully automatic pistol with significant ammunition and perks befitting a knight of the New Monarchy. Faster ability to aim down the sights, and quicker reload times when emptying the clip - and if the faction wins out, available to members for just 1,000 Glimmer. Choose your faction wisely, but if you're role-playing the kind of Guardian who believes Earth is humanity's home, and a new age of Camelot is just over the horizon, New Monarchy is where you're among friends. Destiny 2's Faction Rally will run from 2:00 am PST on September 26 to 2:00 am PST on October 3, 2017. The faction with the most packages unlocked with be announced soon after, with the item of that faction going on sale to members for 1,000 Glimmer... and to everyone else for fifty times the price.